Field recordists often spend a dozen hours to successfully capture just a few scant minutes of audio. But what is such a hard-won recording worth, if that sound can’t be found afterwards? That’s why embedding accurate, unique, and descriptive sound fx metadata is an essential skill for field recordists. To get this done, they use specialized apps to bake this precious text data into the very sound files they record. 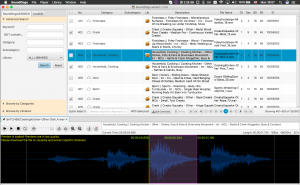 Once the territory of simple sample browsers, these metadata apps have evolved into complex tools used to document, find, and use sound files. As the usefulness of metadata has become apparent, more apps have appeared on the scene to do the job. 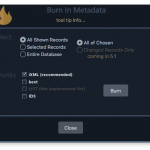 Today’s post takes a quick look at what’s new in the world of metadata apps. Embedded metadata. This is a game-changing feature I feel has been largely overlooked by the community. For context, most metadata apps save searchable text information in local databases only. That’s fast, but it doesn’t help if the sound is moved elsewhere. Why? Well, that disconnects the text info from the sound itself, so any metadata details added will be lost. Basehead 5 now embeds a form of iXML into the sound itself. Yes, v4 of the app embedded into the BWAV Description field. Version 5 adds many more fields. 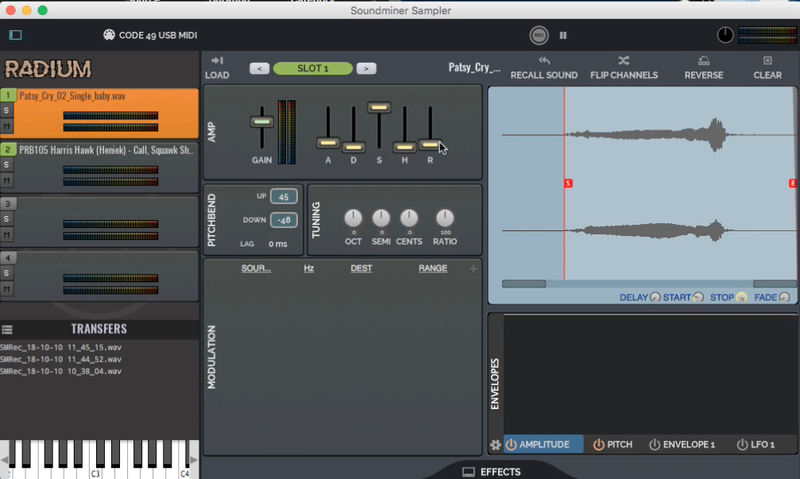 Previously, only Soundminer offered similar functionality. 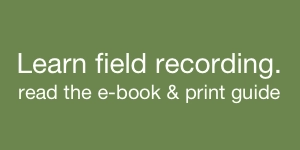 Version 5 now gives field recordists options. 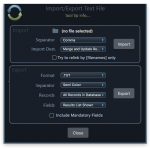 Text import. Prefer to write your metadata in Excel? Want to take a text list from another app and embed it into your raw files? No problem. 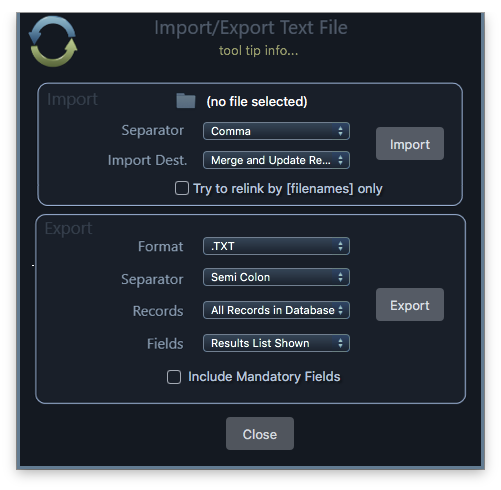 Version 5 now allows text import. CloudPacks. 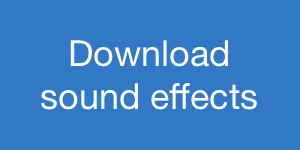 Audition and download free sound fx libraries from the cloud. Increased target support. New, additional spotting options are available for Reaper, and Nuendo 8 and 9. Multi-channel display. 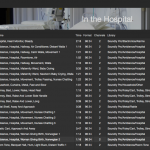 Files now display with individual channels, and can be auditioned channel by channel, if you like. Wwise integration. Version 5 now allows transferring files between BaseHead and Wise. There are many other improvements, you can read the full list. I’ll be reviewing BaseHead 5 in more detail in the future. BaseHead ranges from $179 to $649. New and upgraded versions of BaseHead are currently on sale. Not long ago we saw that version 2.1 of Soundly added more metadata fields, an improved sample rate converter, a clever thesaurus, and Ambisonic support. Collections. Easy-to-use custom groups of popular sounds. Clicking on the “Kitchen” collection will display a one-stop list of everything you need for culinary sound fx. Available to Soundly Pro users. Spot to Reaper. It’s now possible to send selected effects directly onto a Reaper editing app timeline. Extract mono. 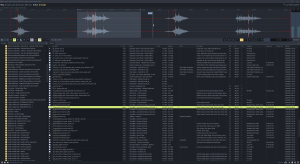 Select and manipulate single channels from multi-channel sounds. Tab to transient. Use the tab key to skip ahead to a sound’s next transient. Shuffle search results. Tired of seeing the same lineup of clips? Try this option to see search results presented randomly. There are other features and bug fixes as well. Soundly is free, with a $14.99/month paid Pro plan giving access to advanced features and a large built-in sound fx library. 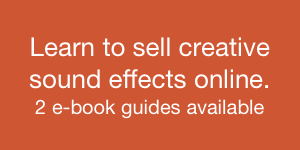 Announced during a Black Friday sale, any A Sound Effect Web shop order will give you a free month of Soundly Pro. While Resonic is technically in beta, it’s one of my favourite sample browsers because of its attention to metadata, the huge amounts of file formats it supports, and the fact that it’s perhaps the most visually pleasing interface of any metadata app. Smoother drag and drop, including into Wwise. Improved file and folder management. More sample rate conversion options. There are many other changes. You can check out the changelog to see what’s new. Here’s a comparison chart that shows the difference between the Player and Pro version. Here’s the Resonic Facebook group. Soundminer v4 has been with us for quite some time. 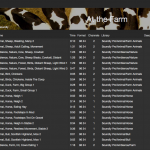 The folks from Canada updated their app to v4.5 back in 2014 with dozens of tweaks and additions to help add metadata, find sounds, and transfer them to projects. 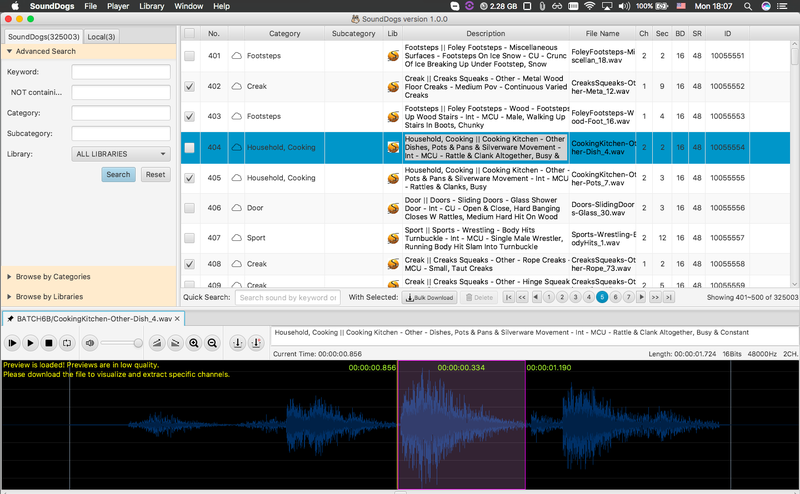 Also included were new features aimed at creative sound pros such as inline recording, scrubber tool, and more. I’ve been seeing a bit of information trickle out about a new version in the developers’ Facebook posts. Recently the team allowed v4.5 owners to beta test v5. What’s new? Radium sampler. 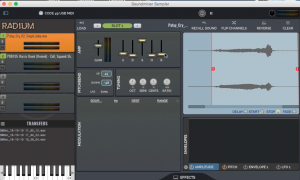 A significant new feature for the sound designers in the crowd, the Radium sampler allows midi control of sample playback and manipulation directly within Soundminer. Audio Unit plug-ins. Expanded from VST-only plug-in functionality, version 5 adds support for v2 and v3 AU plug-ins. Filter search. A “drill down” drop-down menu search method for finding broad results. Tag to database. Intended as a way to save clips into dedicated databases (ex., bookmark some files to another database for a TV show), this feature selects and tags sound file fields on the fly to a new destination database. New database format. 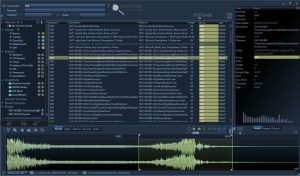 Soundminer adds a new, faster database. It’s not currently compatible with v4 databases, but this may be addressed in the future. Live relink. The ability to relink entire folders of sound effects. Helpful if sample locations are renamed or moved. Amazon S3 support. 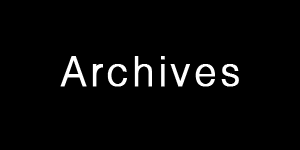 Files can be auditioned over HTTP or via an Amazon S3 bucket. 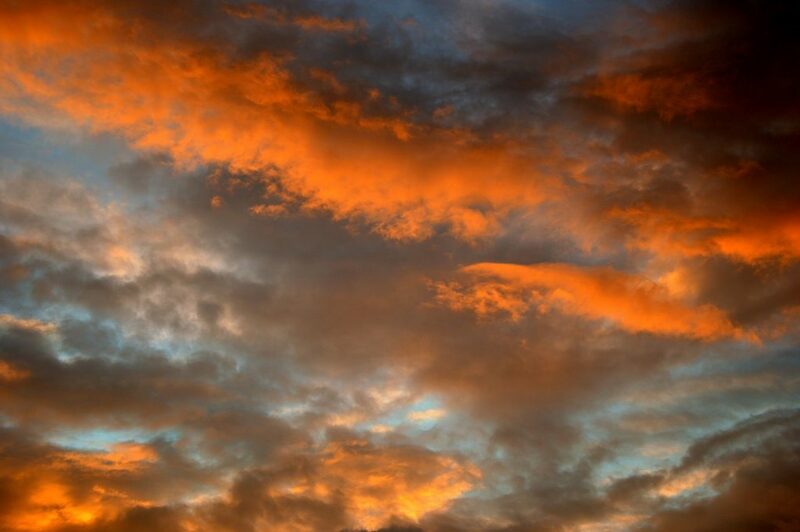 This means files can be stored, auditioned, and transferred from the cloud. Indispensable for mobile sound fx access. 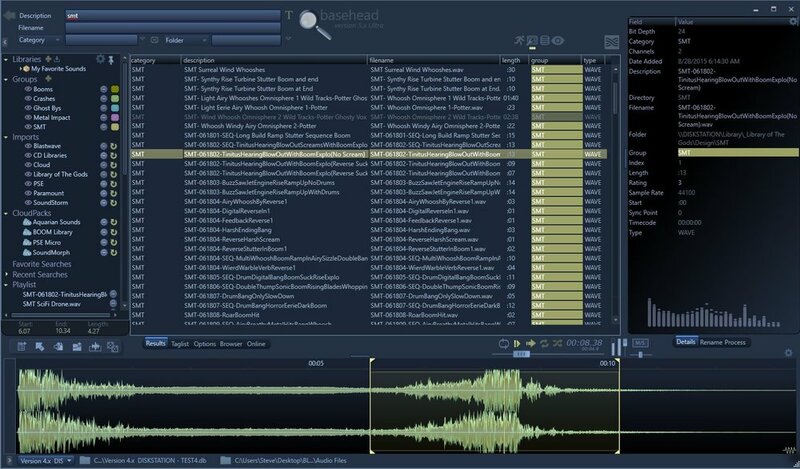 Soundminer is due out in January 2019. 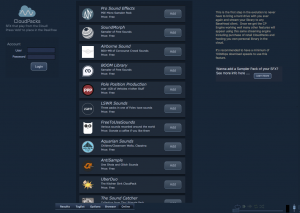 Earlier this year Sounddogs.com released a desktop sound browsing app. With subscriptions plans ranging from free to $1,000 a year, users gained access to audition and download the massive Sounddogs.com library and use it in their projects. An update in May added new subscription plan tiers. A recent update added a new feature: spotting to a Pro Tools timeline. 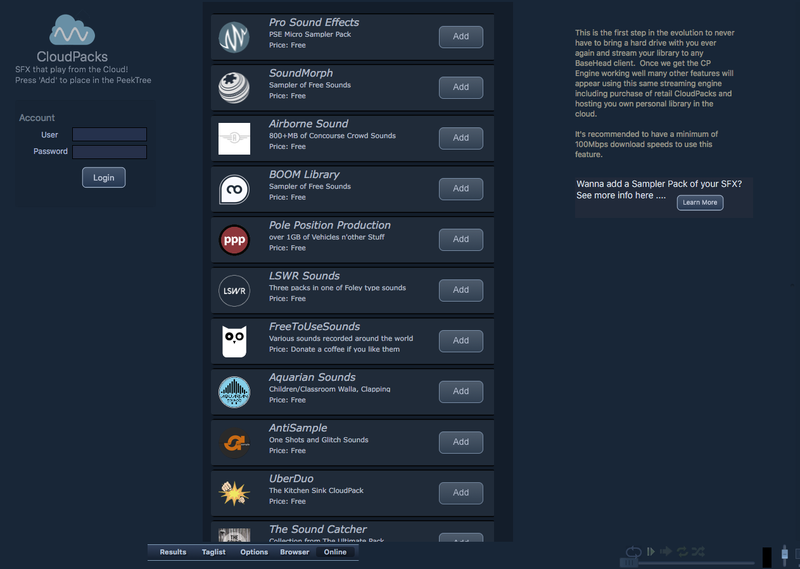 The Sounddogs Desktop App ranges from free to $1,000 a year. 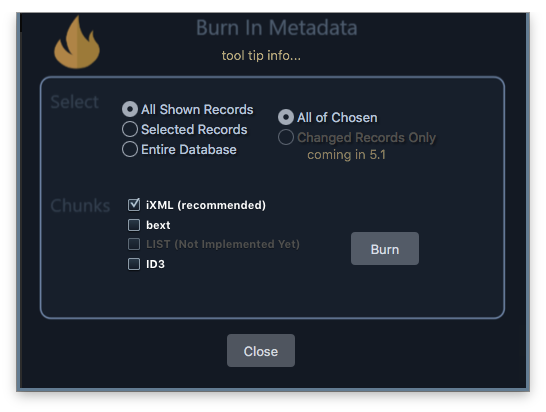 Learn about metadata in the first “Metadata Month” series which explains what sound fx metadata is, how to use it, and lists of metadata apps. Discover how to work with metadata apps and learn quick tips in the second “Metadata Month” series.